You're not sailing in Second Life now are you?? Well...since you asked...actually, yes! 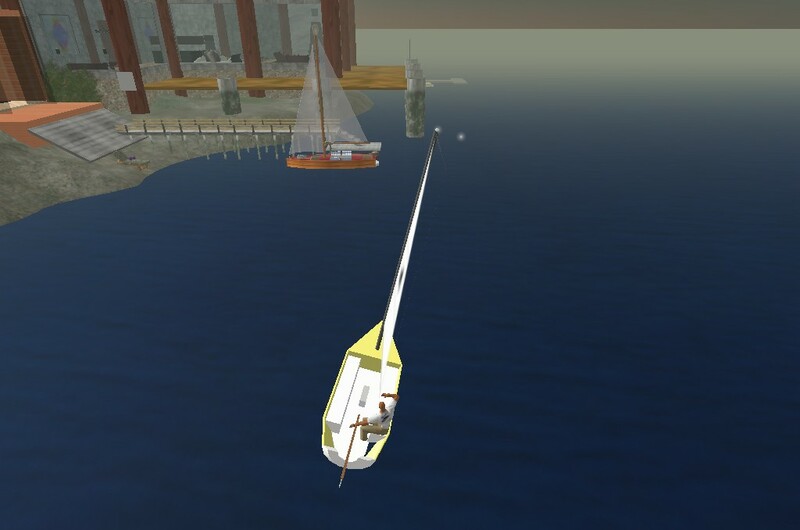 There's a whole sailing community on SL complete with Marinas and yachts for sale and regattas, etc. It's weird, I know but also very intriguing. 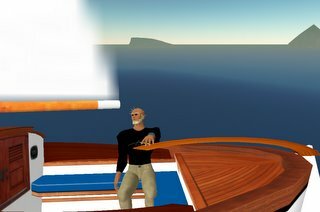 Yesterday I met a sailor from San Diego who was piloting a gorgeous classic sloop...he had the helm so I flew over to his boat and sat leeward and we introduced ourselves and chatted.